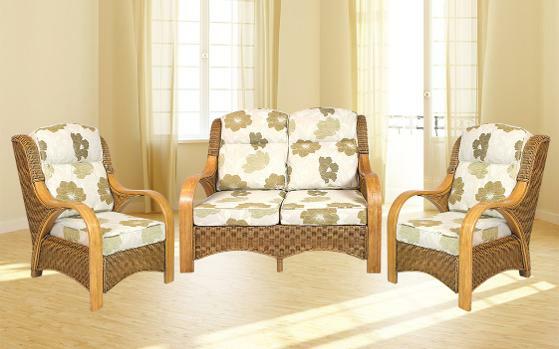 A high-back, comfortable, hand-woven Rattan suite with smooth flat cane arms. Plenty of matching accessories available. There is a nice selection fabrics to choose from. All cushion covers have zips and can be removed for easy cleaning. Shown in Santa Fe Natural fabric. VENICE SUITE FROM £999 ONLY.